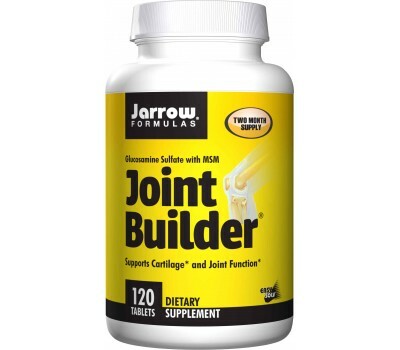 Jarrow Formulas Joint Builder contains glucosamine, MSM, manganese, vitamin C and D3. Glucosamine is an essential building block of proteoglycans, and it is essential for the proper formation of tendons, ligaments, synovial fluid, bones, skin, nails, and blood vessels. MSM is a sulfur donor; sulfur is essential for the formation of chondroitin sulfates. Vitamin C and manganese are required for synthesis of collagen and cartilage. Adequate Vitamin D3 supports joint health. 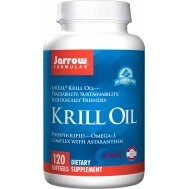 For best results, use with JarroSil, the biologically Activated Silicon. Jarrow Formulas Joint Builder is Joint Sustain nutrition, providing a sodium-free form of glucosamine sulfate stabilized with only potassium chloride (KCI). A large range of motion and the demands of constant use can damage the cartilage of the joints. Age, sports and accidents can lead to similar damage. Repetitive motions and everyday wear-and-tear contribute to joint problems. If stress and inflammation continue long enough, blood vessels will penetrate the cartilage and further weaken the joint tissue. Cartilage is very tough and resilient, but it is even slower than bone in its rate of repair and replacement. It is also important to recognize that relieving the symptoms of injury to cartilage may not be synonymous with repair. The use of aspirin, ibuprofen and other nonsteroidal anti-inflammatories (NSAIDs) will relieve the inflammation, but these do nothing to encourage joint repair. In fact, NSAIDs can actually accelerate the degenerative process. Damage to joint cartilage is more likely to lead to long term problems than is damage to muscle tissue. This is largely because the cartilage does not have a direct supply of blood and cannot be quickly repaired. Joints are particularly vulnerable because the needs for their repair often outstrip the body’s ability to produce new cartilage. Chondrocytes are cells responsible for the repair and regeneration of cartilage tissues, both its removal when damaged and its synthesis. Enzymes produced by the chondrocytes tear down cartilage, just as proteoglycans synthesized by the chondrocytes renew cartilage. Both steps are necessary for joint health and a balance needs to be maintained. On one hand, the destructive process is accelerated by inflammation and injury. On the other hand, the process of synthesis is heavily dependent upon adequate nutrition, which is slowed with advancing age. The key limiting step on the synthetic side is production of glucosaminoglycans (GAGs), for which glucosamine is the basic building block. Glucosamine is often referred to as a “chondroprotective agent.” This means that glucosamine protects cartilage. Glucosamine, however, does not act alone. 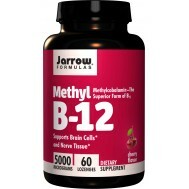 Other nutrients must be available in adequate amounts if it is to be used efficiently in the synthesis of cartilage. 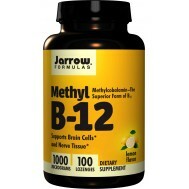 MSM (methylsulfonylmethane) is a biological form of sulfur that has generated broad anecdotal support for its benefits in promoting a healthy inflammation response. Sulfur is required for the repair and maintenance of joint tissues and the construction of connective tissues more generally. This is also one mechanism often given for the use of glucosamine sulfate as the preferred form of glucosamine for optimal joint support. Sulfur, moreover, is especially important for the body’s production of the chondroitin sulfates, which act to maintain the proper water levels and, therefore, the cushioning properties of cartilage in joint tissue. Supplementing with MSM ensures that the body has adequate amounts of sulfur for promoting healthy joint tissues. Many years ago this trace mineral was suggested as being useful for joint integrity due to its ability to improve the production of glycosaminoglycans (GAGs) and proteoglycans, i.e., mucopolysaccharides. By the time the Sixth Edition of Modern Nutrition in Health and Disease was published in 1980, it had been established that manganese occupies a primary role in mucopolysaccharide production in the body. It is important for the production of synovial fluid as well as for the production of cartilage. Vitamin C, a water-soluble vitamin, effectively moves into the synovial fluid and helps control reactive oxygen species and free radicals. This is not the only use of vitamin C in the joints. The synthesis of procollagen from collagen requires both vitamin C and manganese for its completion. Both glucosamine and procollagen are precursors for the body’s synthesis of the GAGs. 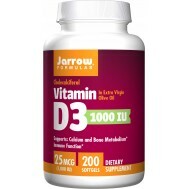 Since moving from procollagen to true collagen requires the presence of vitamin C, vitamin C acts in conjunction with glucosamine and manganese to support cartilage health. The inclusion of an active form of vitamin D in Jarrow Formulas Joint Builder® is intended to help normalize calcium levels and improve the integrity of the bones to which the cartilage is attached. 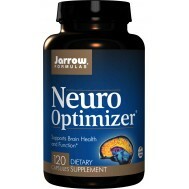 Take 2 tablets per day, or as directed by your qualified health care consultant. Easy-Solv tablets are designed to disintegrate within several minutes of ingestion.